This model is 5' 8" and wears a size S. Their chest measures 34" and the waist 25". 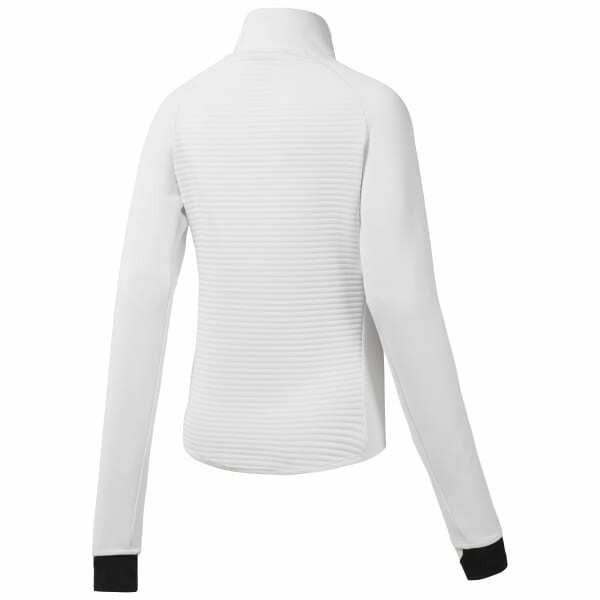 Reebok's premium Thermowarm Deltapeak double layer fabric is filled with polyester yarns for lightweight warmth. Lightweight padding at the chest for insulation. The slim fit silhouette is the perfect layering piece for performance. The oversized thumb holes help keep the sleeves in place. Zipped hand pockets give you a place to store your stuff and warm your hands.